Solar panels attract birds quite easily due to its installation. Solar panels are the perfect settings for birds to safely nest and roost under them. The warmth emitted from the solar panels will benefit the birds all year around. They create an ideal habitat for birds as well as other insects such as mites and lice. You will waste energy and money in the long run due to the lost efficiency. This is the reason that solar panels need to be bird proof to prevent the loss of energy as well as wasting your money in the long run. Here are important reasons to bird proof the solar panels in your home. You can complete your energy requirements and sell back electricity to the grid when you have efficient solar panels. The efficiency of these panels is reduced to a considerable extent due to birds and their droppings. Birds usually nest within the gaps between these panels and the roof. The solar panels are unable to collect light and produce electricity due to bird droppings. The panels must be kept in pristine condition at all times to maximize the performance of these panels. If you have 50% of bird droppings on the solar panels, it can result in a 50% reduction of energy. If the whole cell is covered with droppings, it can reduce the energy conversion rate to zero Bird proofing these panels is extremely important due to this reason. It improves the productivity and efficiency of the panels. Reputed solar entities in the United Kingdom use highly effective methods to improve the productivity of these panels. It will also help prevent any unnecessary damages to the panels. A mesh system is used over the solar panels to protect them from birds and bird droppings. Birds and other insects are kept away from the solar panels due to the mesh system. The mesh systems are usually invisible from the ground level. The mesh system is installed without drilling or screwing your roof. A special kind of clip is used to secure the mesh system which will not damage the solar panels. The mesh system will not interfere with the warranty of the solar panels. In fact, the warranty of the panels will not be affected in any way by the mesh system installed. 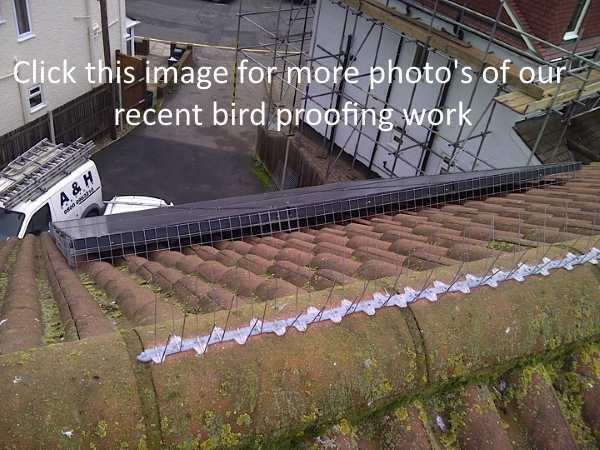 This is the main reason that you need to consider bird proofing for solar panels today. Do not delay and lose your hard earned money in the long run. Increase the efficiency of your solar panels with this system.